In his first official remarks to the United Nations (“the UN”) since his inauguration in January, President Donald Trump called upon the organization to take steps to protect whistleblowers. The President’s address to the UN Reform Committee was brief and to the point, lasting just a little over four minutes. In his remarks, Trump referred to a number of reforms that he sees as necessary to “make the United Nations great”. Trump pointed out that, since 2002, the United Nations has increased its budget by 140 percent and more than doubled its staff. Trump said he believes this increase has only served to bloat the organization’s bureaucracy and encourage mismanagement. The President implied that the UN’s credibility has suffered in recent years and that steps must be taken to regain trust in the organization. “We seek a United Nations that regains the trust of the people around the world. In order to achieve this, the United Nations must hold every level of management accountable, protect whistleblowers and focus on results rather than on process,” President Trump said. The President’s call for protecting UN officials who speak up about internal wrongdoing and generally strengthening whistleblower protections came despite recent White House criticism of leaks that frequently occur in his administration. At the same time, Trump recently signed legislation to protect whistleblowers in the Department of Veterans Affairs. “We want to reward, cherish and promote the many dedicated employees at the VA,” Trump said at the bill’s signing ceremony. The signing of the Veteran’s Accountability and Whistleblower Protection Act and the administration’s pursuit of leakers within their own rank and file is not as much of a conflict as it may first appear. Whistleblower protections typically only apply to those who report wrongdoing internally – for example, reporting wrongdoing to superior staff or to an agency’s inspector general. In general, however, whistleblower protections are not extended to those who only leak information to the media. In closing, Trump called for strong and decisive action from the United Nations. “I am confident that if we work together and champion truly bold reforms the United Nations will emerge as a stronger, more effective, more just and greater force for peace and harmony in the world,” Trump said. Guterres, who also took office in January, told the meeting: “To serve the people we support and the people who support us, we must be nimble and effective, flexible and efficient. Our shared objective is a 21st-century U.N. focused more on people and less on process,” Guterres said. Some 128 countries attended Monday’s meeting after signing on to a U.S.-drafted 10-point political declaration committing to initiate reform. 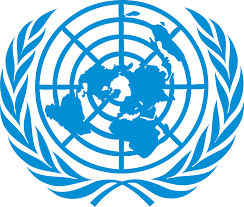 U.N. Security Council veto powers Russia and China did not sign the declaration. Regardless of what the UN does, it’s unlikely that thin whistleblower protections will deter the most determined whistleblowers. Whistleblowers are usually not driven by a political agenda; rather, they seek to expose fraud, abuse, and violations of the law, regardless of who is president. However, even with the strongest whistleblower case, it’s important to protect whistleblowers from retaliation and any attempts to silence them. Anyone thinking of becoming a whistleblower should make sure their rights are protected. Whether a whistleblower works for a private company or a government entity, whistleblowers should always contact an experienced whistleblower attorney before they go public.